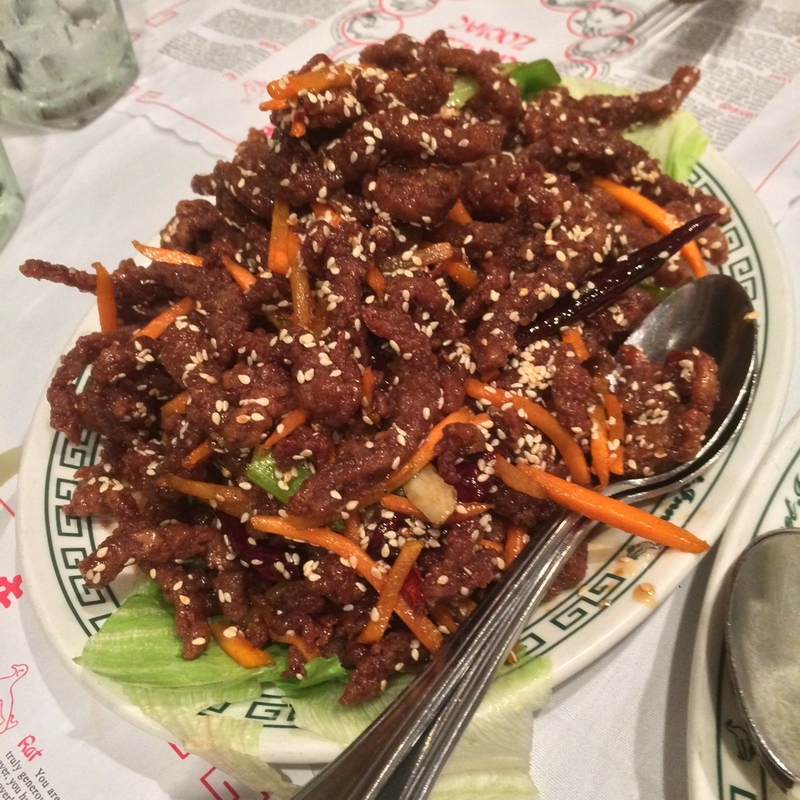 There are plenty of ways to prove you've lived in the DMV to call it home, but unless you've eaten at Peking Gourmet Inn in Falls Church I think you need to pass the baton. In a nondescript strip-mall off of Leesburg Pike, with its red and yellow signage, Peking Gourmet looks like any other Chinese restaurant. Except the people waiting outside., there are always people waiting outside. Forget Rose's Luxury, this is the original restaurant people waited in line for. Peking Gourmet is a machine like operation, it's larger than it looks and its walls are adorned with photos of famous people who have eaten there, above the doorway is both Presidents Bush and family, including Jeb! The restaurant churns over tables with amazing efficiency, but not pushy were the waiters are standing over you with a check. In fact, it's the house specialty that actually takes time, fine tuned to precision - the Peking Duck. Order it first and for the table, it'll take time to prepare and is carved and presented table side. 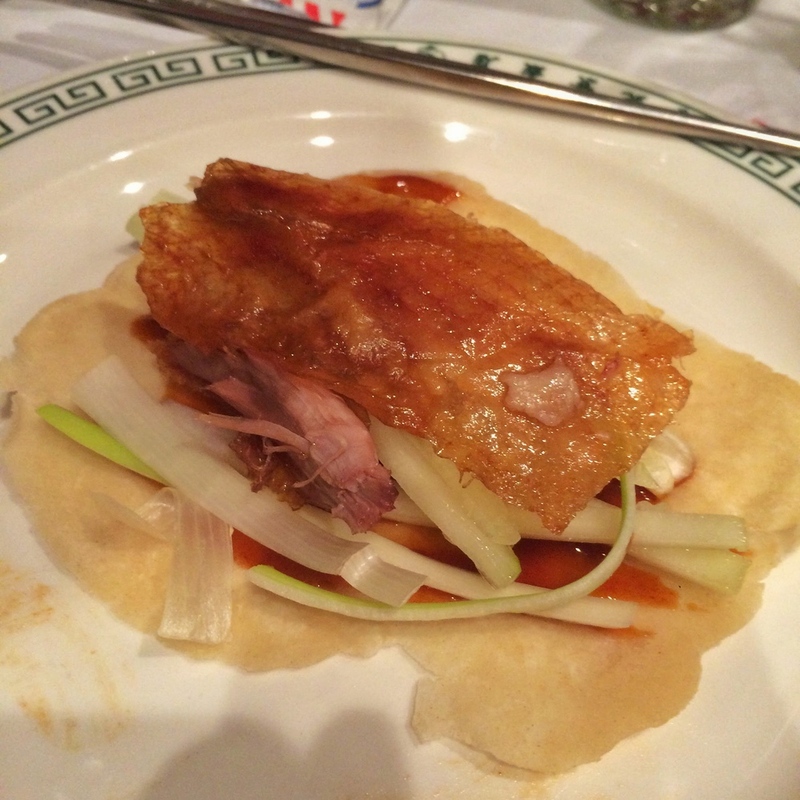 The duck skin is crisp and sweet, and the meat tender and succulent. Too often can duck come out tough and dry, but not here. Our server informed me they sell 1700 ducks each week. 1700. I think they know what they're doing. Served with a dozen pancakes, hoisin sauce and green onions. It's an excellent appetizer among friends, and as you'd expect there are all of your typical Chinese dishes, but you wouldn't be judged for ordering just one duck for yourself. Of course duck isn't for everyone, which we can talk about another time, but there is one dish I want to tell you about and that's the Szechuan Beef Proper - thick strips of beef sauteed in a sweet and not too spicy chili sauce. The beef is sprinkled in sesame seeds and served with sauteed carrots and celery. It's crisp and a little chewy, but not cumbersome. Perhaps my favorite Chinese dish in the area. It's a crowded and somewhat noisy affair but it's well worth the drive. Reservations are taken over the phone but I've never had much luck with that, a 10-30 minute wait has always been the norm from my experience.